Ship strikes continue to be a significant threat to whales globally and in the case of endangered North Atlantic right whales, one of the two biggest threats to their survival. Living almost entirely in busy coastal areas. Many species of whales feed, play, migrate, rest, nurse, mate, give birth, and socialize in urbanized marine highways, putting them at risk of being struck by passing vessels. How do whales get struck by ships? Large passing ships are unlikely to see a whale, or may be unable to divert course if they do see one. A large ship creates something called a ‘bow null effect’ blocking the engine noise by the bow, creating a quiet zone in front of the vessel, and leaving a whale unaware of the pending threat. Small vessels not only risk injuring whales, the vessels themselves are at risk of damage.. Small vessels involved in whale strikes have suffered cracked hulls, damage to propellers and rudders, and blown engines. Passengers on board have been knocked off their feet or even thrown in the air and been seriously injured. Why are they so hard to avoid? Sometimes a whale can surface abruptly for air or swim just feet below the surface with barely a ripple visible to alert passing boaters to their presence. While a number of technological efforts have been researched to reduce the risk of striking whales, none have yet proven viable. Some may even increase risk to whales, as they respond by surfacing, putting them further in harm’s way. The most effective means to reduce collisions between whales and vessels is to separate them, and when that can’t be done, slow the vessel down to a speed of 10kts or less. Efforts to protect endangered North Atlantic right whales have included both of these methods reducing the risk of a fatal collision along the US east coast by 80-90%. How are right whales being protected? Traffic separation schemes (shipping lanes) have been moved and Areas to be Avoided (ATBAs) have been established in both the U.S. and Canada to route ships around high use North Atlantic right whale habitats. In the U.S. an approach regulation was implemented requiring all boaters without an approach permit, to maintain a distance of at least 500 yards from a North Atlantic right whale. 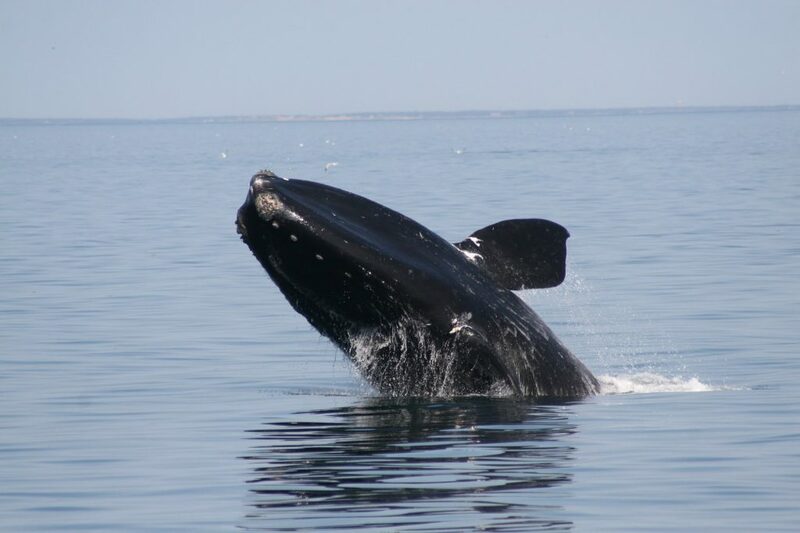 Seasonal speed restricted areas were established along the U.S. east coast and in the Gulf of St. Lawrence requiring all vessels 65 feet (20 meters) or longer to slow to 10kts during the seasons in which North Atlantic right whales were known to be in the area. WDC and its conservation partners successfully petitioned the US government to implement and permanently extend a seasonal 10kt ship speed limit along the US east coast, reducing the risk of a fatal ship strike of a North Atlantic right whale by 80-90%. WDC’s research on small vessel strikes of southern Gulf of Maine humpback whales revealed that more than 1 in 10 humpbacks has been struck by a passing vessel. As a member of the Stellwagen Bank National Marine Sanctuary’s small boater working group, WDC is working to reduce vessel strikes in the Sanctuary. WDC works to educate boaters about safely transiting through whale habitats. Through its Whale SENSE program, WDC works with commercial whale watching companies along the US east coast and Alaska while See A Spout, Watch Out! and Sharing the Seas reach out to recreational and sailing vessel operators. Fewer than 450 North Atlantic right whales survive. By adopting a whale or dolphin, by making a donation, or by fundraising for WDC, you can help us save these amazing creatures. Adopt a whale or dolphin and help us end captivity. Your gifts help us take action to end this cruel exploitation.